Hiring the right people is extremely hard. Not only is the market tightly constrained — especially for tech companies, but the unwritten rules for how to hire are often plain wrong. With more candidates who “look good on paper” going on to flounder at startups, it’s time to rethink what qualities actually make someone a great employee. 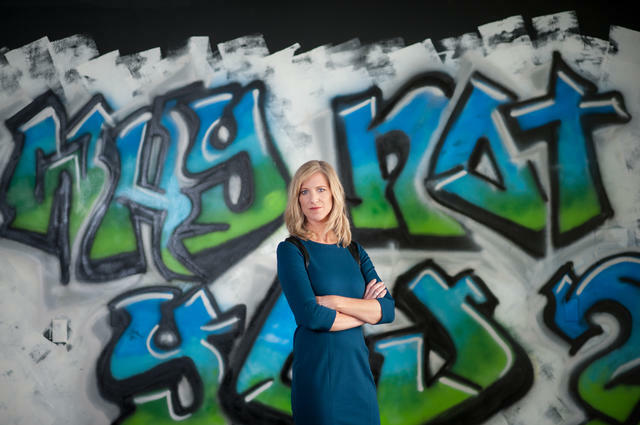 As the co-founder and CEO of Koru, an immersive business-training program designed for newly-minted job seekers, Kristen Hamilton works to bridge the gap between graduation and employment, and place people in jobs where they’ll excel. Working with candidates who lack real-world experience has had a surprising byproduct — she now has a crystal clear sense of the skills and traits that make people great performers. Hamilton has channeled this knowledge into a new paradigm for what a high-impact hire looks like and how to find one. As such, Koru doesn’t put much stock into typical metrics like college rank or GPA. Instead, Hamilton and her colleagues have identified the skillsets and mindsets that are most predictive of on-the-job success. They arrived at seven characteristics that, taken together, best translate into someone killing it at their job. These traits transcend department or career stage, and they apply to entry-level engineers and marketing executives alike. Most importantly, they work: 85% of the young people accepted into Koru’s program (which uses the same seven measures to screen candidates) land jobs quickly. Many of them field multiple offers. And the companies that hire them (like LinkedIn, Facebook and Yelp) have been uniformly impressed by the results. “Laszlo Bock, head of People Operations at Google, spearheaded research looking at everyone they hired to figure out if high GPAs actually correlated with performance. Turns out they don’t," Hamilton says. The combination of hard and soft skills that drive business impact are the best indicator of success. While walking us through the Koru7 (as she calls this new hiring rubric), she shared specific interview questions and tactics startups can use to make sure they’re not just hiring the candidates with traditional markers of success, but rather the ones who will actually do an incredible job. Startups are as fast-paced as they are nebulous. In the modern workplace, it’s not unusual for hires to be the first to hold newly created positions without clear mandates. They need to be able to figure it out while going a hundred miles a minute. At the same time, the inevitable monotony of day-to-day grunt work hasn’t gone anywhere. Through the frenzy and the lulls, you want team members who are tenacious and resilient. Because it’s important to remember that true grit might be revealed by something as mundane as a stats problem — you’re not necessarily looking for a heroic story here. A history of persevering through mind-numbing boredom can be one of the most valuable predictors of strong performance. Data, and the tools we use to get it, are multiplying. And that’s great news — but numbers in a vacuum are meaningless. “It’s true in every single job, from entry-level to the executive suite: you need to be analytical and data driven and exhaustive. More and more tools are available, but you have to know what questions to ask of these tools,” says Hamilton. Rigor refers to a candidate’s ability to take in evidence, integrate information from multiple sources, derive meaning from it, and make critical decisions quickly. Whether you’re a data scientist or a customer success rep, you need to be able to do this. What to ask: In many ways, this is the easiest trait to test. For more technical roles, you can even build a timed Excel test with some practice problems or logic tests. Otherwise, case-style questions will do the trick. “Ask candidates to tell you about a time they used data to make a decision. Look for details about the complexity of the data and how the thinking happened, rather than focusing on the right answer,” Hamilton says. Leaders need to know that everyone on the team understands the company’s goals and is structuring their work to achieve them. You want to find people who can think deeply about their roles — people who have advanced understanding of how their work connects to their coworkers’ and the company at large — and organize their priorities to drive business value in the right ways. “There are no dark corners in organizations anymore,” Hamilton says. Cross-functional teams are the norm, and as companies and industries become increasingly global and transparent, the desire to create a more diverse workforce will only grow stronger. Professionals who are able to understand different social styles are the key ingredient of a healthy, collaborative team. Look for candidates who know their own strengths and weaknesses, and can empathize with others — the hallmark of empathy and high EQ. What to ask: “There's interesting research that ties teamwork to the ability to recognize emotions in other people, and EQ can be measured with 10 or so questions. That's how we approach our teamwork assessment,” says Hamilton. Your questions here can be straightforward: When working on a team, what's hardest for you? What about a time you worked on a difficult team? What was your role and experience? What makes you happiest and most effective when working with others? “Bad things happen all the time: your boss quits three days after you start, or your job isn't the one you applied for,” Hamilton says. Successful professionals are the ones who make lemonade out of lemons — not the ones who dwell on those frustrations. And a positive attitude, while crucial, isn’t enough. You’re looking for people who take the initiative to fix their problems and move forward fast. To “test” for this in an interview, you actually need to tempt candidates into feeling sorry for themselves (as strange as that sounds). “You want to ask about a time they experienced an injustice, and then empathize with the unfairness. You say, ‘Are you kidding? That's crazy. What a jerk.’ Owners will immediately respond with something like, ‘Yeah, but I recognized it wasn't worth my time to complain about it.’ They won’t buy in and double down on venting or complaining,” Hamilton says. This trait carries a lot of punch and is an excellent indicator of a whole range of other qualities you want to hire into your company: Empathy, creativity, innovation, the ability to learn quickly — they all spring from curiosity. What to ask: Polish is equal parts what candidates say and how they say it, so be sure you’re considering both. How do they conduct themselves when they interject? Do they send a thoughtful thank you note following your conversation? Do they communicate gracefully and efficiently, saying whip-smart things in the fewest words possible? Koru’s job marketplace application requires that applicants submit a short video, which is particularly instructive. “It’s hard to come across as calm and confident with a camera pointed at you,” Hamilton says. For this exercise, she keeps the questions simple: What makes you gritty? Tell us about a time you had an impact. Each of these seven traits is important for just about every hire. As you use them, though, you may find that you weigh them differently depending on the characteristics you most need in a given role. “A marketing analyst will need high rigor and high grit so they can keep testing testing testing — but you may be less concerned about polish than you would be if you were hiring a salesperson. Someone who acts as a liaison between developers and other team members, on the other hand, has to be really polished and curious,” Hamilton says. Aim for consistency. Much of your hiring data is coming through an inherently subjective interview process, but there are things you can do to standardize qualitative feedback and responses as much as possible. “We have a very consistent rubric—here's what a 1 is and a 2. We have debates, really health debates with our team, about whether that person was a 4 or a 3 on a given trait,” Hamilton says. She compares it to her varied experience ranging from large tech companies like Microsoft, to consulting firms and nonprofits, where she held various roles in product planning, operations,strategy and marketing. At these organizations, she found that there were extensive interviewing processes in place, but no clear numbers or rating systems. Note that you won’t arrive at those well-defined qualities and measurements right away; Hamilton estimates it was about six months before Koru had its first standardized rubric for selecting applicants to its program. But in her experience, it’s well worth the investment. Once you’ve identified the traits you’re looking for — and the competencies you associate with each one — make sure anyone who ever interviews a candidate knows them cold. Clearly define terms like “ownership” and “grit,” and educate your team about why you’re looking for them. Then after interviews, get together again to regroup to calibrate your assessments of the candidates. Handle your data with care. In fact, you should treat your hiring data with the same rigor and attention you would give sales numbers or email open rates. As you gather more and more of it, this is the information that will set you up to make smart hiring decisions time and time again. She also recommends standardizing questions as much as possible to further control the data that various interviewers are gathering. If the same question is asked by multiple people, you want to make sure they ask it the same way, so that you can accurately judge the consistency of the person’s answers. This will be particularly important when you’re interviewing at higher volumes, and it will make your team’s post-interview debriefs as productive as possible. Fish from your own pond. It’s a point worth repeating: Forget top college names. Move on from GPA. The tech community and innovative companies are now choosing grit over grades. Determine the qualities and competencies you care about and thoughtfully plug away at a rubric for finding them. Let that be your signal. Because if there’s one thing Hamilton has learned over the years — and proven with the predictive success of the 7 traits — it’s that you really can’t judge a book by its cover. “My favorite example is a guy who went to Bates College and studied rhetoric,” she says. “He had no business context — he thought ‘sales’ was a dirty word — but he scored very high on the grit algorithm. He had lived in the woods on his own wits but he wouldn't have known that he could translate that into something that would be exciting for a software company,” Hamilton says.